KINGSTON, Jamaica - Shakira Aminah Martin (25, 1.73m) was crowned Miss Jamaica Universe 2011 at the National Indoor Sports Centre in Kingston. 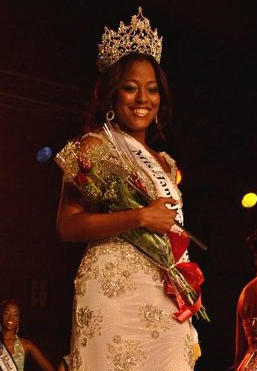 She will represent Jamaica in Miss Universe 2011 in Sao Paulo, Brazil on September 12. Kadyan Salmon and Chantal Zaky finished second and third, respectively. Peta-Gaye Simpson and Tiffany Trotter completed the Top 5.